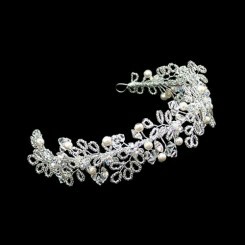 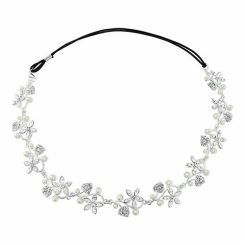 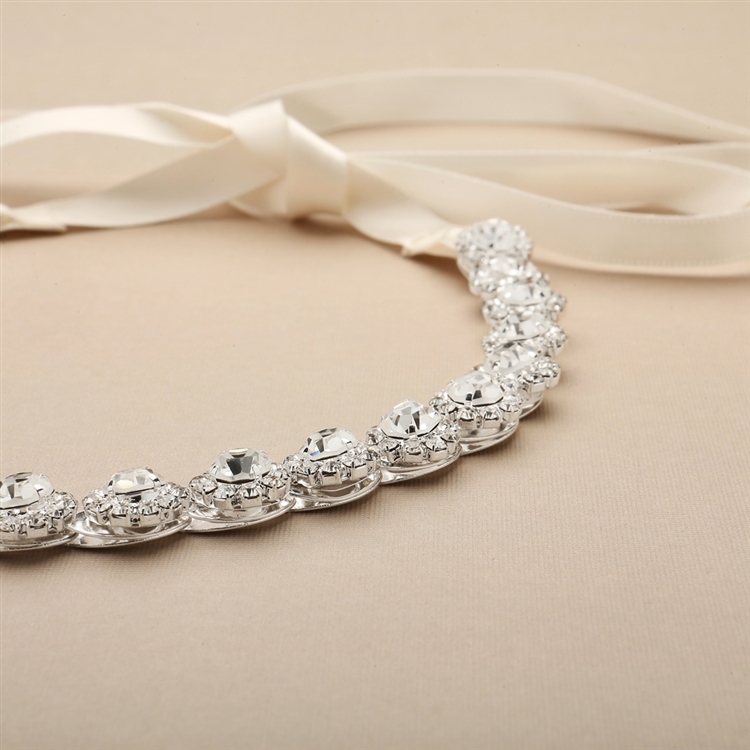 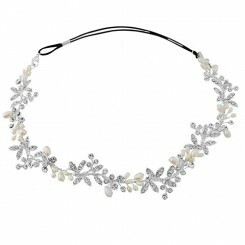 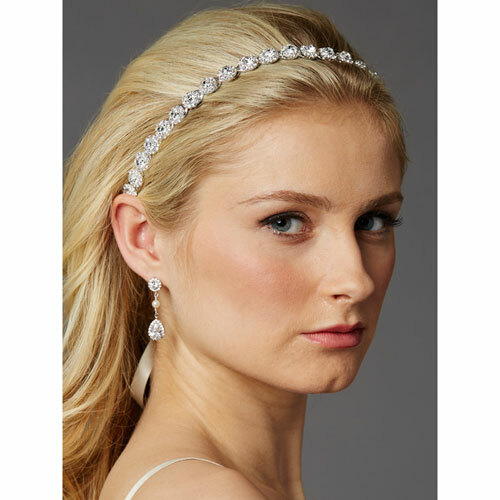 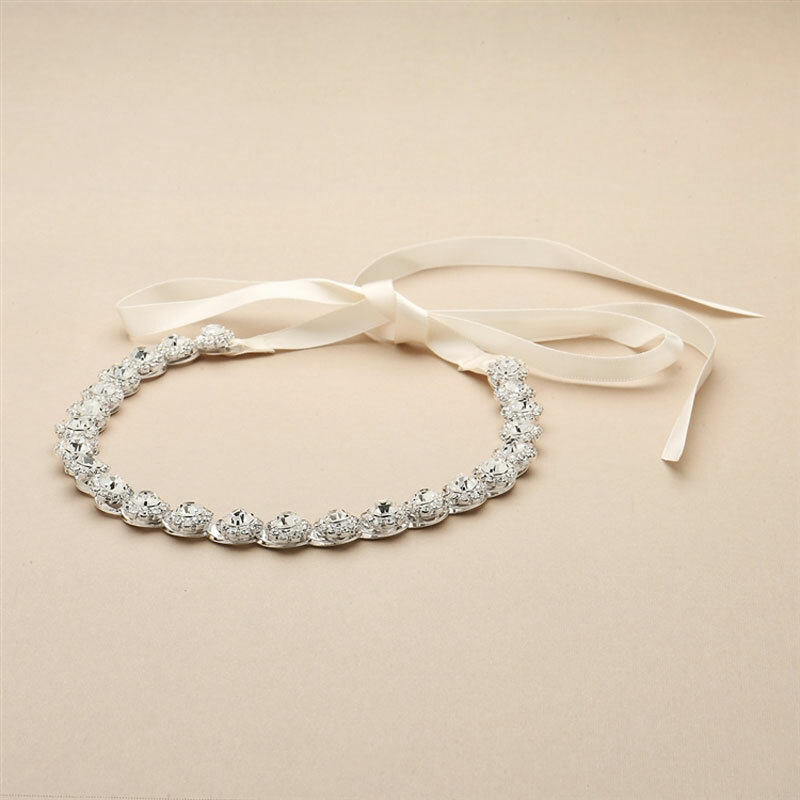 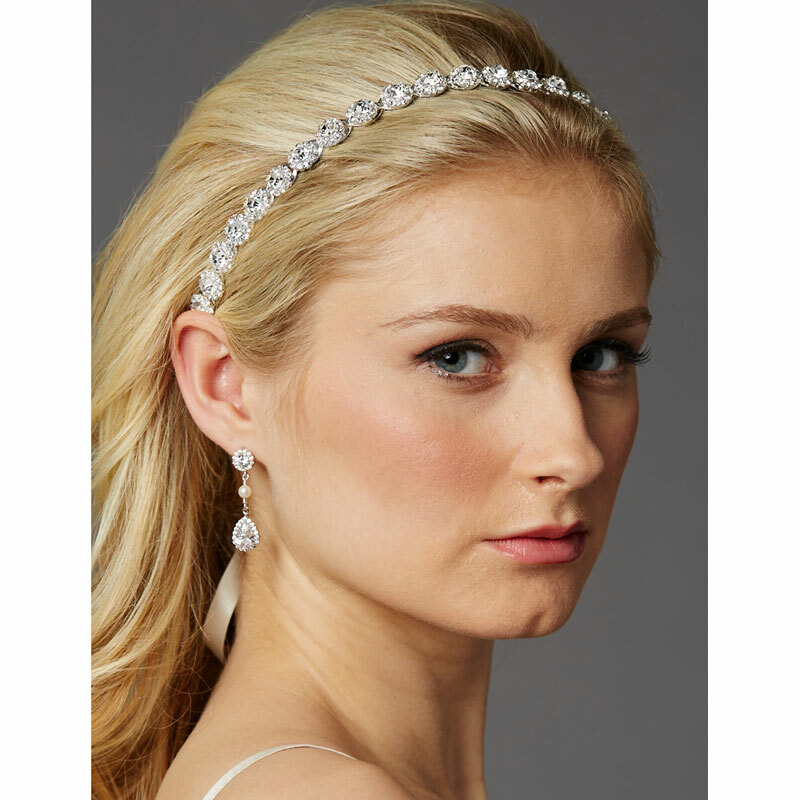 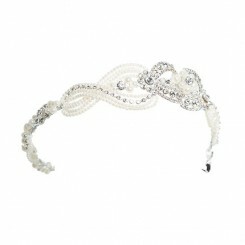 Slim Crystal Bridal Ribbon Headband – Portia. 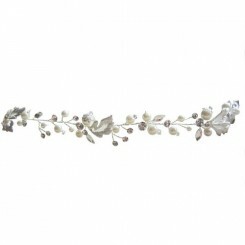 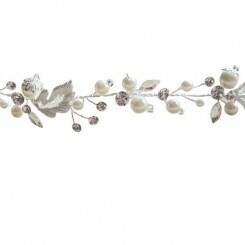 Fabulous on-trend slender wedding headband with a modernistic link design plated in Sterling Silver. 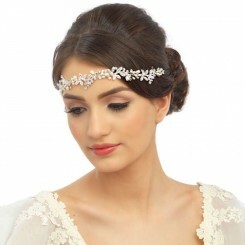 Perfect for a less formal, bohemian look this versatile headpiece can be worn in a variety of ways to suit your theme. 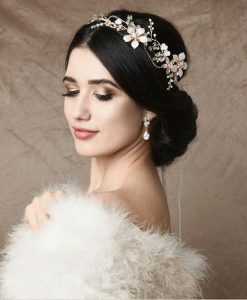 Portia is handmade in the USA using genuine Precisoa crystal, whose distinctive, fiery sparkle combined with the stunning design, give this piece it’s one off designer look. 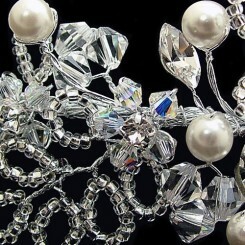 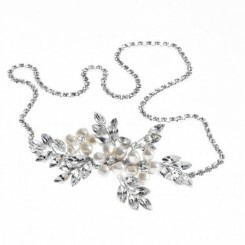 Portia boasts 12 inches of 1/2 inch Preciosa crystal flowers for unrivaled, head-turning sparkle. 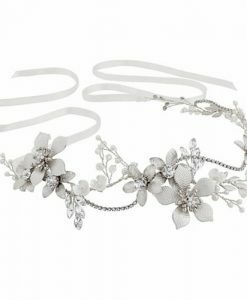 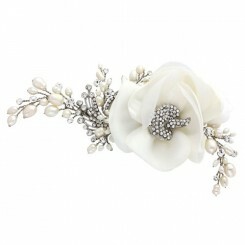 This exquisite wedding headpiece is fastened with 15 inches of 3/8″ wide ivory satin ribbon on each side of the detail. 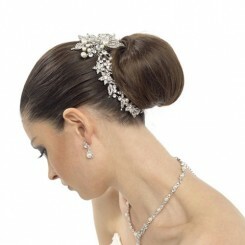 This enables the piece to be fit any head or hair style with ease. 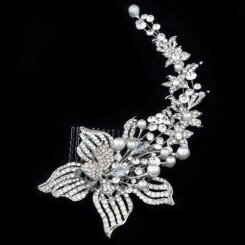 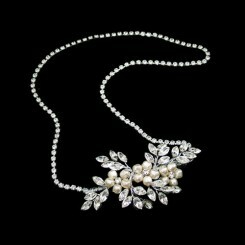 Portia is only available in silver/ivory. 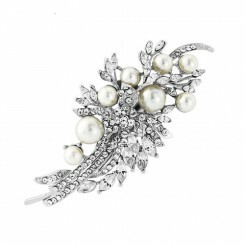 Check out our Pinterest page here!